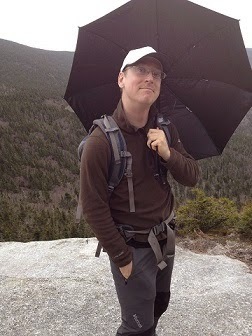 Weekends - overnight trips, usually around 8-12 miles (5 to 7 hours) per day in the white mountains. I try to carry a pack weight similar to what I'm expecting on the PCT. Camping in the whites in April is difficult since there is still 4 feet of snow at elevation and night time temperatures can dip into the single digits. Last weekend I stayed at a hut because my 15 degree bag would not have cut it. This weekend looks warmer and I've got a route with a campsite at 2,000 feet instead of 3500 which will add about 5 to 10 degrees. Monday and sometimes Tuesday are rest days. Rest days are generally under emphasized in training plans but they are as important as the actual training; if you don't rest your body won't heal and become stronger. I use the evenings of rest days to take care of PCT related planning things (buying gear, permits, boxing stuff for the trail, buying even more gear, etc.). Tuesday or Wednesday I run after work. I've never run on anything resembling a regular basis in my entire life since about two weeks ago. That said, I only run for about 40 minutes with a few quick rest stops. It seems to be the most time effective way to train for hiking because you tire out all the same muscles used for hiking but much faster. I've noticed my muscles aren't as sore after hiking, or at least not the usual ones. Thursday I run again or do an uncanoonuc hike. Rinse an repeat from there! I try to always stretch. When I hike that's usually every time I take a breather or every hour or so. I need to get my friend Jo to work out a yoga routine for the PCT for me... Injury prevention is key!